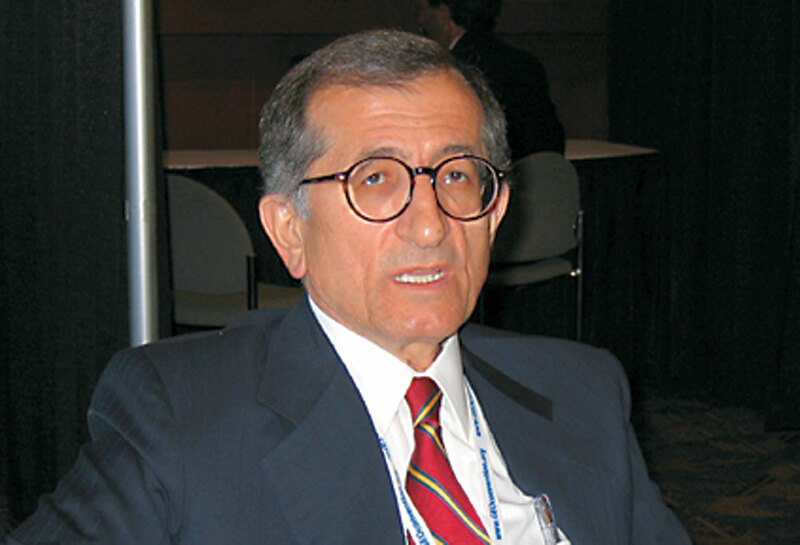 Oz Yilmaz is a well-known name in the geophysical world. He has been working in the seismic industry for the last 33 years – 6 years at Turkish Petroleum (Ankara), 12 years at Western Geophysical (Houston and London), 4 years at Schlumberger (London), 3 years at Paradigm Geophysical (London) before he finally found Anatolian Geophysical (Istanbul) and became CTO of GeoTomo (Houston). For his contributions to geophysical exploration, Oz was honoured by SEG in 1991 with the Virgil Kauffman Gold Medal Award, by EAGE in 1992 with Conrad Schlumberger Award, by Istanbul Technical University in 1992 with a Special Commendation Award. He has served as the SEG Vice- President from 1993-1994, as 1996 SEG Distinguished Lecturer and the EAGE Associate Editor of Geophysical Prospecting in 1992. Apart from numerous publications on all aspects of seismic data analysis, Oz wrote a book entitled ’Seismic Data Processing’‚ published by SEG in 1987. The expanded two-volume second edition was again published by SEG in January 2001. When approached for this interview, Oz readily agreed to share his experience and ideas on a range of topics. Oz, let’s begin by asking you about your early education and your work experience? I received my Bachelor’s of Science Degree in Geology with Geophysics Option from University of Missouri-Rolla in 1970. During my undergraduate years I realized that I am more interested in the engineering and mathematical aspects of earth sciences; therefore, I made the switch from geology to geophysics and received my Master’s from Stanford University in Geophysics in 1972, with research work in rock physics and earthquake seismology. After five years in the oil and gas industry, I returned to Stanford and received my PhD in Geophysics, this time specializing in exploration seismology. I have been working in the seismic industry for 33 years since 1973 —- 6 years at Turkish Petroleum (Ankara), acquisition and processing geophysicist; chief geophysicist, marine exploration; and deputy exploration manager; 12 years at Western Geophysical (Houston and London), senior research geophysicist, and technical coordinator; 4 years at Schlumberger (London), director of research and product development, and director of inversion services; 3 years at Paradigm Geophysical (London), Chief Technology Officer. Tell us first how you got interested in geophysics. This actually goes all the way back to my high school years Satinder. You know, it was not really a coincidental or accidental choice. I had a high school teacher who really got me excited about geology. So, I became very interested in earth sciences at large early in my education and when I had the opportunity to study in the U.S., I made my choice to study geology. And later on, as I mentioned earlier, during my undergraduate years, I realized that I am more interested in the quantitative aspects of earth sciences —- that is why I then made the switch to geophysics. You have been a very successful geo-scientist and it is a well known name in the industry. What is the secret of your success? Hard work! A lot of hard work and a lot of concentration really, focusing on the broader aspect of a problem as well as the detailed aspects of the problem and not really finishing your thinking process at 5:00 p.m.—it just has to continue. That is a good one. Now you have published an all time thick SEG compendium on seismic data processing and I believe it is a great accomplishment. Tell us how you go about managing your time. To come up with such a big volume outside of a regular job is very credible, as a lot of work has been compiled in this? Actually it was almost compelling that I had to come up with that publication as a result of my assignments at various companies during my career in the oil and gas industry. I had been very fortunate to have been exposed to a wide variety of seismic data around the world, different types of problems, structural, stratigraphic, land and marine. As such, I decided that I really should share my experience with my colleagues in the exploration community. The outcome was the book. Obviously it required a lot of effort—I had to use my weekends, my nights, and time off from work to work on the book. So part of your advice to people would be that they should be open to communication? They should share what they know, what they understand, and what they do not understand. Sharing knowledge is the way to learn from each other. You can say that, although in recent years I have become very interested in linguistics as well as in history, but geophysics is still my principal occupation. How did you take to writing because not many people, even if they are successful, you know, they don’t get down to writing books or writing research papers. So, how did you aspire to start writing and then compile your work in the form of a big book and what possible attributes are required to do an effective job at writing? Writing, Satinder, requires a lot of discipline. It really does. First, you have to have concentration. Second, don’t feel reluctant to edit your own work ten or fifteen times. You know those chapters went through rewriting ten times on the average. Third, you have to use a language that is simple to understand. A convoluted style of writing can easily deter the reader. You have to make it simple and precise for scientific writing. Right, I think that is important because for any communication, not only the material should be coherent as you go through, but it should be in simple terms. Yes, your task is to convey the knowledge to the reader rather than impress the reader with literary embellishment. I want to take this opportunity to express my sincere and heartful gratitude here to Steve Doherty—my life-time friend and technical editor for the book. His meticulous and incisive review of the text, and his suggestions on the emphasis are immense. I also express my gratitude to my life-time mentor and friend—Jon Claerbout who educated me and guided me during my time at Stanford. Now finding hydrocarbons is becoming increasingly difficult and we know we have moved from structural to stratigraphic and there has also been advancement in our technology. Some companies believe that convincing results and competitive edge can be gained by application of technology rather than actually developing the technology. They can get the technology they need from outside instead of actually developing it themselves. What do you think about this? A hybrid combination. In other words there are certain technologies that you have to or should develop yourself. A case in point—heavy oil projects; not many oil companies or contractors would want to invest in developing the technology for exploiting heavy oil, at least not until recently. You then have to develop the required technology yourself. But if there is a product out there that will help you solve your problem, then you should not hesitate acquiring that product or technology. Well, I have already made a major turn in my career starting in 2001. You know, fundamentally I am a seismologist. I listen to the earth and that means I am really interested in not just in exploration seismology but also in earthquake seismology on one hand and engineering seismology on the other hand. Their frequency band-width and their depth-width are different, but the basic concepts in all three areas of application of seismology. Since 2001, I have been doing really exciting projects in all three areas of seismology—earthquake seismology, exploration seismology, and engineering seismology. Geotechnical site characterization, seismic microzonation in municipal areas, delineation of landslide failure surfaces, mapping shallow faults—these problems all require engineering and earthquake seismology. What I learn in one area, I apply to the others whenever appropriate. After joining GeoTomo, we developed the technology to solve the challenging problem of difficult land data with irregular topography, complex near- surface, and complex subsurface. We worked on a number of large-offset seismic projects— offsets up to 36 km. Yes, as I mentioned earlier, I have been very interested in history, particularly American History as well as the last 200 years of Turkish History. I am a keen and, a very serious reader of history; so I collect original scholastic books on the subject. My other interest is linguistics—understanding the origins of languages. I believe that understanding the origin of a language helps understand the root of a civilization since language is the way to communicate your civilization’s values. What would be your message for young geo-scientists who are entering our industry? Very simple. They shouldn’t think that we have solved all the problems and that we have left no problem to them to deal with. There are lots of challenging problems ahead for them to solve. This is my first advice. Number two—the one thing I notice in our industry is that the young generation tends not to do much literature search and they think they just made a discovery. Rather than reinventing the wheel, so to speak, if they build upon the past knowledge, I think they would be more successful, our industry would advance faster. They must acknowledge and honor, and use the past work. That is my second advice. I think that would be very sensible to do, to gather all the work that has been done in the area they are working in and then build up on that. I would like you to share with us some of your memorable geophysical experience. Could you mention a few? You have traveled around so much. Yes, memorable experiences as there are so many of them. A recent one from China. In the last four years, I have been interested in large- offset seismic data acquisition and analysis. In 2004, I went to Kulong Mountains of Western China, where PetroChina wanted to conduct a large- offset seismic experiment. I truly enjoyed the fresh and cool mountain although I had some problems with altitude. I was very anxious to see the first record—we recorded shot gathers with 1,400 channels and maximum offset of 36 km using common-receiver- spread recording geometry. It was indeed a challenging task—part of the line was in Gobi Dessert, part was in the mountains with elevation differences up to 3,500 meters along the line. Right. Can you recall maybe another geophysical experience that you can share with us? Working for a contractor, you are exposed to a wide variety of data from around the world. As such, you learn many different types of problems and share your experience with others. What is the present state of R&D in our industry, do you think enough is being done to keep our industry going? R&D infrastructure from the oil companies having been dismantled it is now more on the service companies or the Universities for sharing or carrying this burden. Unless you are compelled to, unless you really need to—this is the human nature, you tend not to spend money on R&D. And, whenever you need to cut the budget, R&D is the first that suffers. According to you what are the challenges still facing us in the seismic data processing and what do you think needs to be done to address them? Seismic data processing at large you mean? That includes processing, inversion and interpretation, the three categories of seismic data analysis. The problem of difficult land data has been dodged by the industry for many years. Let us pose the problem: How do you image in areas with irregular topography, complex near-surface, and complex subsurface? I have devoted my total concentration on this problem for more than 15 years. Since I have been with GeoTomo, I believe that we have indeed developed the workflow that is tailored to solve this problem— genuinely, not in an improvising manner. The nonlinear traveltime tomography for estimating the near-surface, the wavefield datuming for correcting for the nearsurface, and the image-based rms and interval velocity estimation at reflector positions, not at reflection positions, all add up to the total solution described by a self-contained workflow that is not just in time, not just in depth, but that is time-with-depth. Do you think enough of research has been focused in any of these areas? Satinder, if you look at the historiography of the seismic industry we see the following: In the 60s, we moved from analog to digital. In the 70s, we moved from calculators to computers. In the 80s, we moved from 2-D to 3-D. In the 90s, we moved from time to depth. And, finally, in the 2000s, we moved from 3-D to 4-D, from 4-D to 4-C, from isotropy to anisotropy. So, there is plenty to investigate and we in the industry are doing just that. Thank you very much for this interview, Oz. I appreciate it.